Fountaine O! 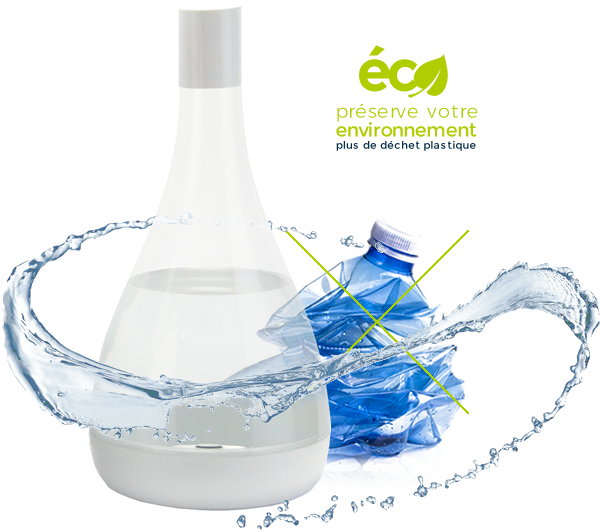 ® tap water, well, rain and spring water filtering system, developed using , an innovative material, completely designed and manufactured in France. Unique and autonomous, it can be connected to your incoming water supply (optional), and works using natural gravity, on a drop by drop basis. 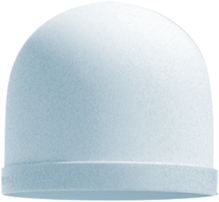 Inspired by a naturally-occurring principle, Fontaine O!® alkalinizes and energizes, by gradually purifying water as it is filtered through the length of its unique micro-porous Ceramic system, eliminating any possibility of trace micro-organisms (bacteria and substances of a size > 0.2 microns), and then through the O!ptimum cartridge, which contains layers of natural and effective materials (harmful substance retention - cf. results of analyses carried out in France), which have undergone no alteration - chemical treatment or other - thereby reproducing the benefits of a water that is an essential part of our daily intake over the course of our lives. 1 cm thick and porous at 0.2μ, composed of diatoms, with exceptional filtering power, it retains minerals through crystallization and greatly reduces dissolved carbonate content (up to 70%), acting as a barrier to bacteria and naturally occurring organic micro substances, primary dyes, microalgae. obtained from pebbles originating in the sea (extracted and processed in France), silica improves the acid-base balance of water that is being purified, by encouraging a more alkaline pH > 7.5, resulting from the oxidation of mineral, inorganic silica available on an organic level. recognized for its efficacy in terms of trace element diffusion and its heavy metal retention capacity (Lead, Aluminium, Cadmium, Ammonium and metal ions, etc. ), reduces the possibility of the development of chloramines, eliminates the appearance of microalgae (before passing through the part containing the coconut fibre activated carbon). processed in France and in Belgium, and compliant with rigorous specifications - cf. standards - with the most effective purification power in its category, retains harmful substances potentially present in water (chemical and pharmaceutical drug-based substances, with the exception of hormones, which can only be retained using very complex systems), eliminates water discolouration and turbidities, returning purified water to its original, neutral taste and state - total disappearance of dissolved chlorine, amongst others. Fontaine O!® means no more lugging heavy disposable, plastic bottles around. Only plant-based and mineral materials are released into the natural water cycle as your O!ptimum filter cartridge can be recharged indefinitely after 6 months of use in water (maximum length of use advised). Combining useful ... Your water is available whenever you need it (7.4 litres of water stocked, in addition to a 1.5 litre detachable O! 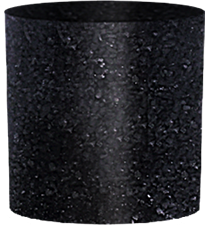 Jug - which fill up on the basis of the “communicating containers” principle - with the ability to reinstate the water’s electrolytic qualities (using a neodymium magnet) to a level similar to that of naturally re-energized water - measurable criteria such as resistivity, conductivity etc. With pleasurable ... A timeless, chic design – Label Français de l’Observer du Design 2018 - which is suited to all interior design styles - from your professional world - hotel breakfast room, rest home, company reception areas, waiting and meeting rooms, or quite simply your kitchen at home etc. Fontaine O ! 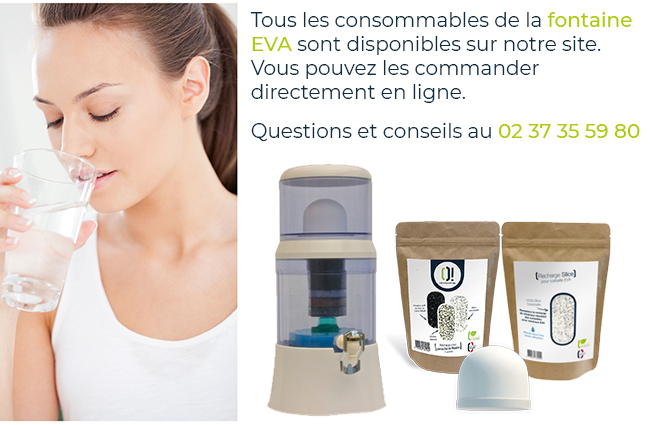 ® ... With its proven efficacy, its originality and its chic design, change how you feel about the purification not only of your drinking and cooking water, but also that water you give to your pets and house plants.